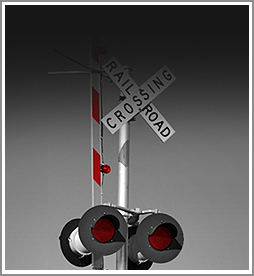 A railroad employee riding a train which strikes a car or truck at a railroad crossing is often injured, sometimes seriously. Railroad employees are catapulted from their seats causing serious physical injuries. Often the truck struck by the train has flammable materials and the resulting fireball from the collision causes catastrophic burn injuries to the rail employee. Burn victims suffer the most horrific pain and disfigurement that can be inflicted. The burn victim must undergo debridement of the burned areas, followed by skin grafts to the area. I have represented burn victims in railroad crossing accidents and understand the serious pain and suffering associated with this type of injury.